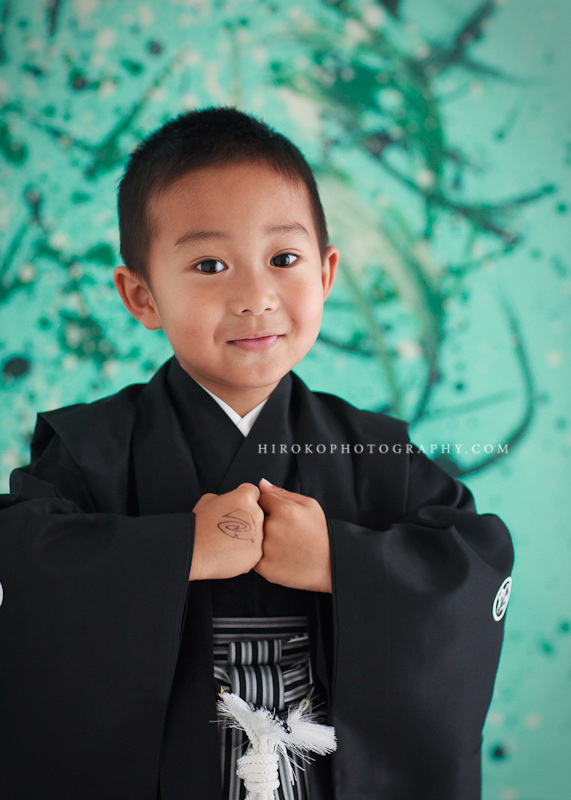 Shichi-Go-San aka 753 (traditional Japanese portrait for Seven, Five, and Three-year-olds) in New York. 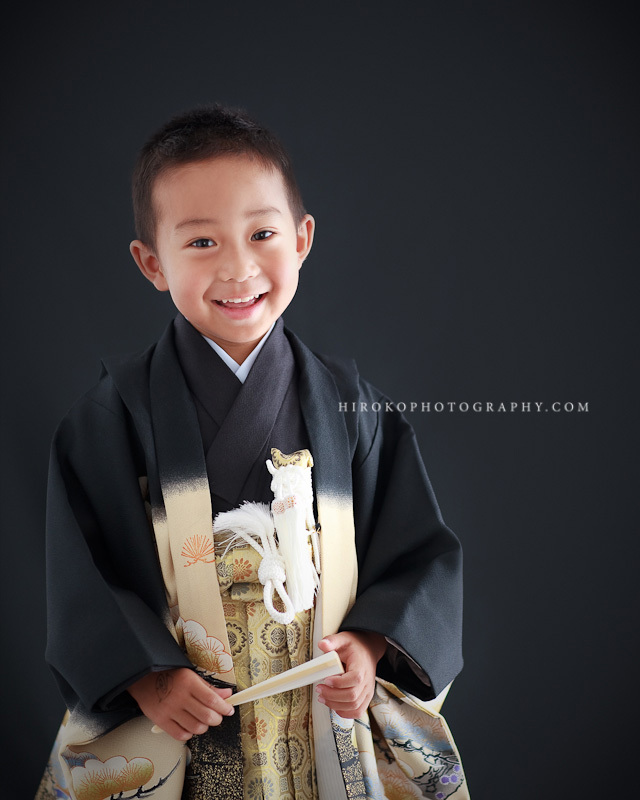 My son volunteered to model for five-year-old Kimonos in return for soda and lollipop. 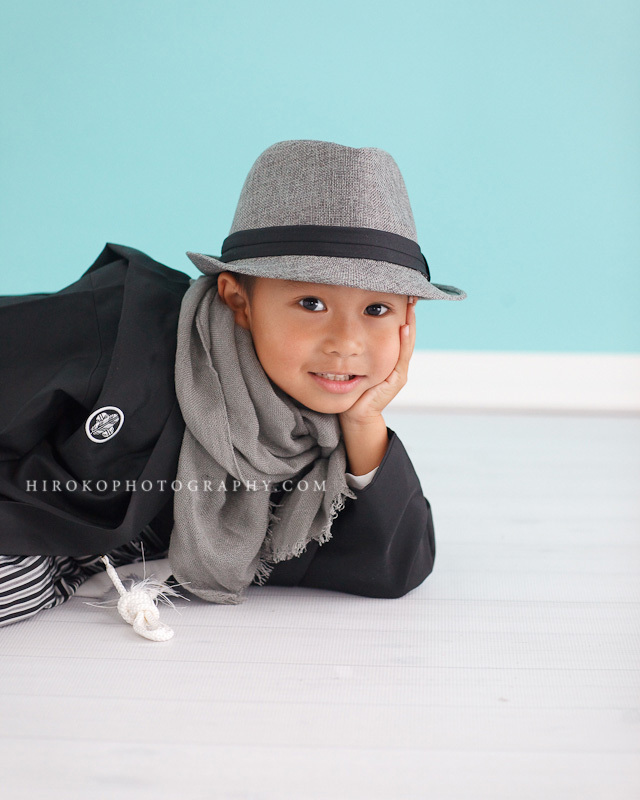 I am originally a location photographer for family portrait and wedding, however I started to do the studio photos for “Shichi-Go-San” because of requests from my Japanese mommy (and daddy) friends in NY. 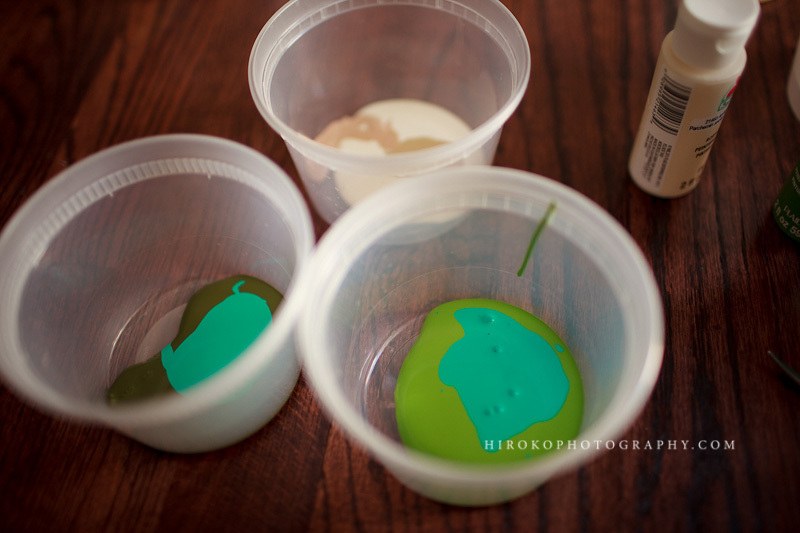 If you cannot go back to Japan to take photo of your children’s “Shichi-Go-San” photo due to any reasons, please send me an email at hiroko@hirokophotography.com. I will gladly capture your children’s milestone! 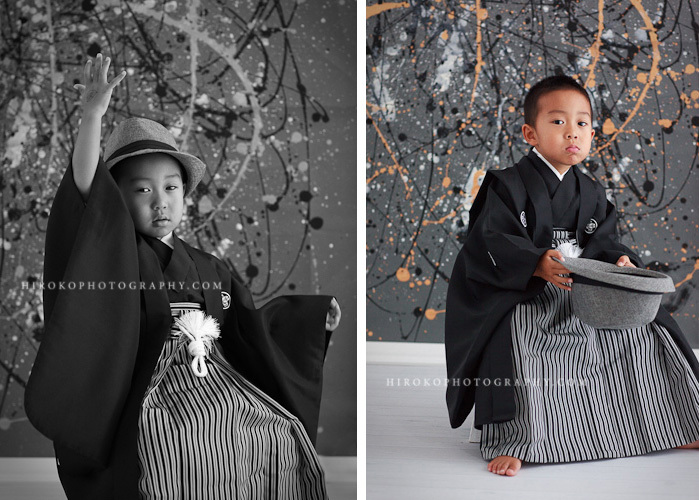 In this post, I would like to introduce the five-year-old kimono (with new and different backdrops). 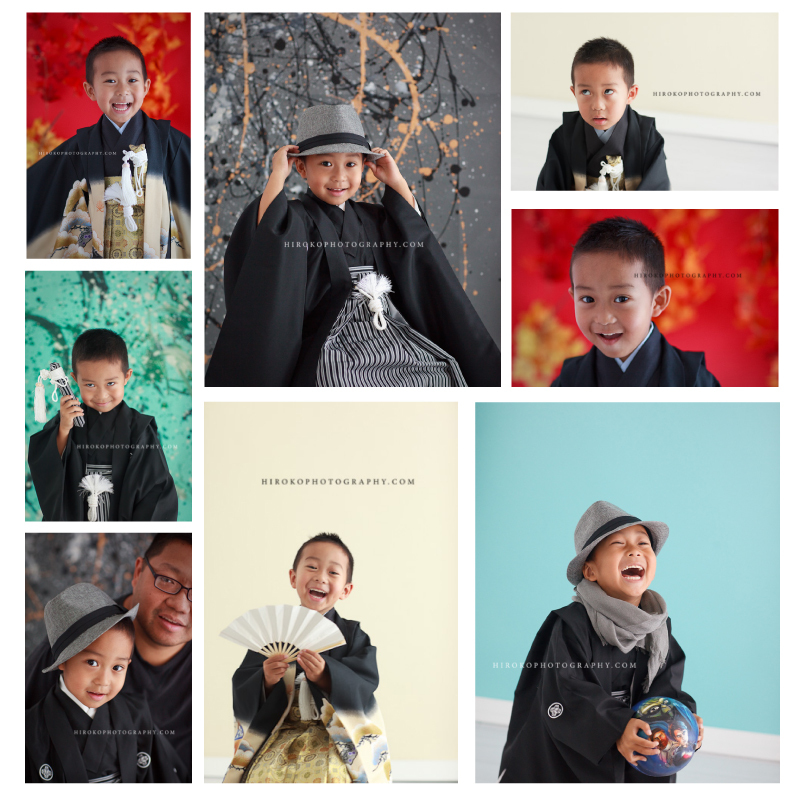 I’ve only introduced 3 and 7 year old kimonos on my official website so it is very exciting to show them off. lol. 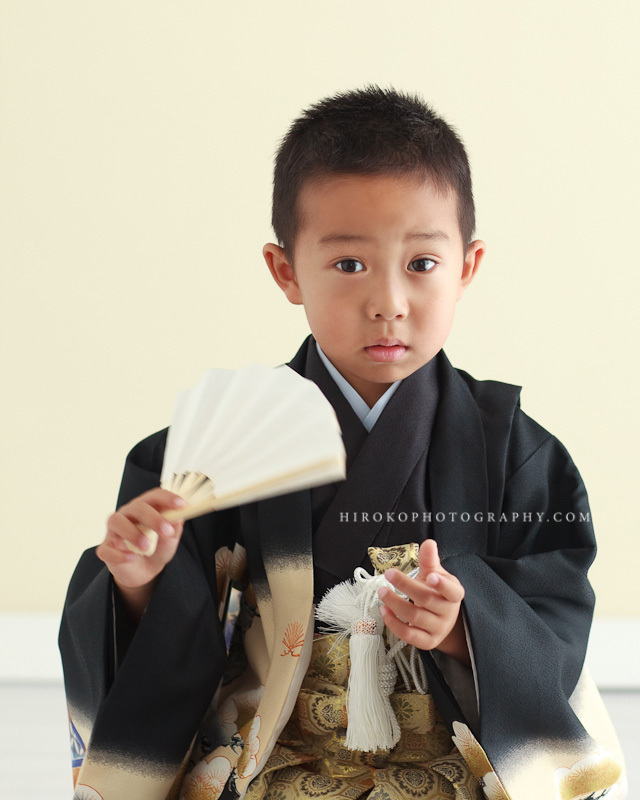 I have two types of five-year-old kimonos. The below is Ivory theme with the “Dragon” kimono. 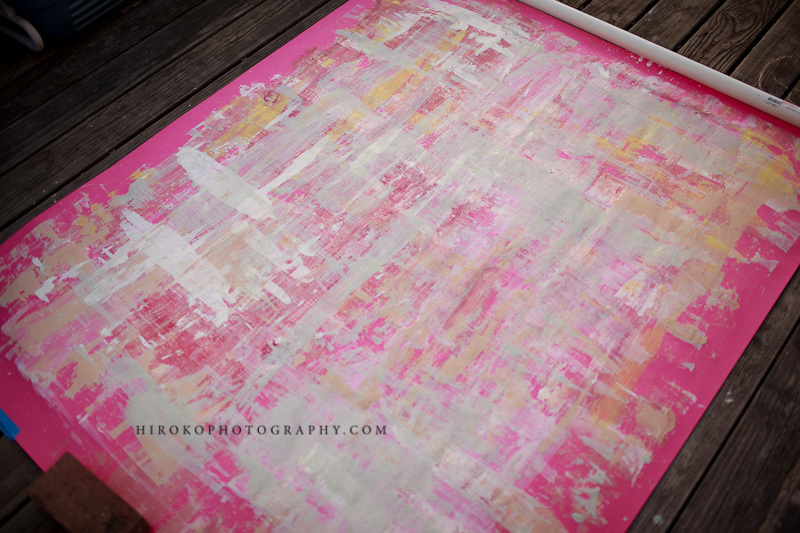 This will be beautiful if you frame it in a white frame and hang it if your house has a warm tone wall color. 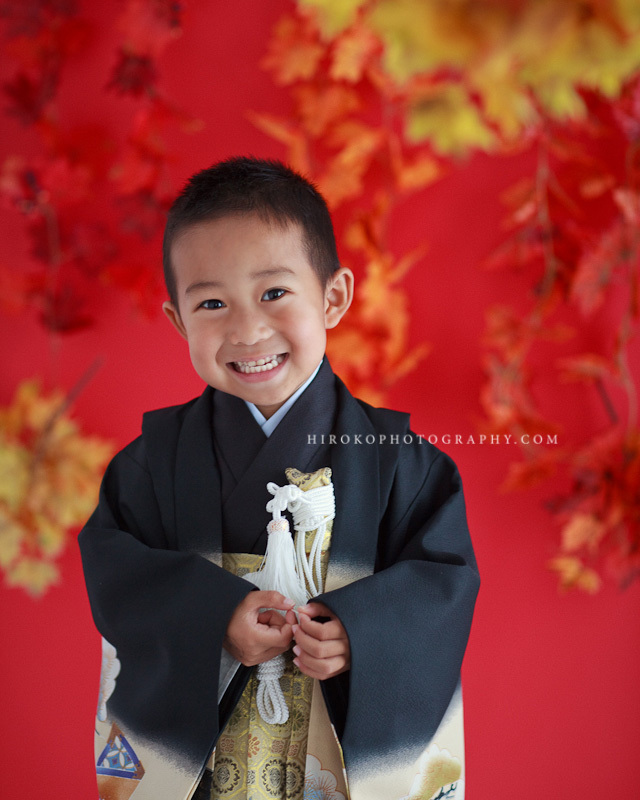 If you have 7-year-old or 3-year-old daughter and photograph with your 5 year-old-son, this theme would be the best one because it blends very nicely with red/pink kimonos. This is a passionate one! It’s because I am away from Japan, I would love to have very traditional Japanese studio look. Chic black theme is also perfect for grand parents in Japan, right? My model is on the move. I have been thinking that I wanted to create some kind of “New York Theme” when I photograph this kimono portrait in NY… then yes, I got an idea! 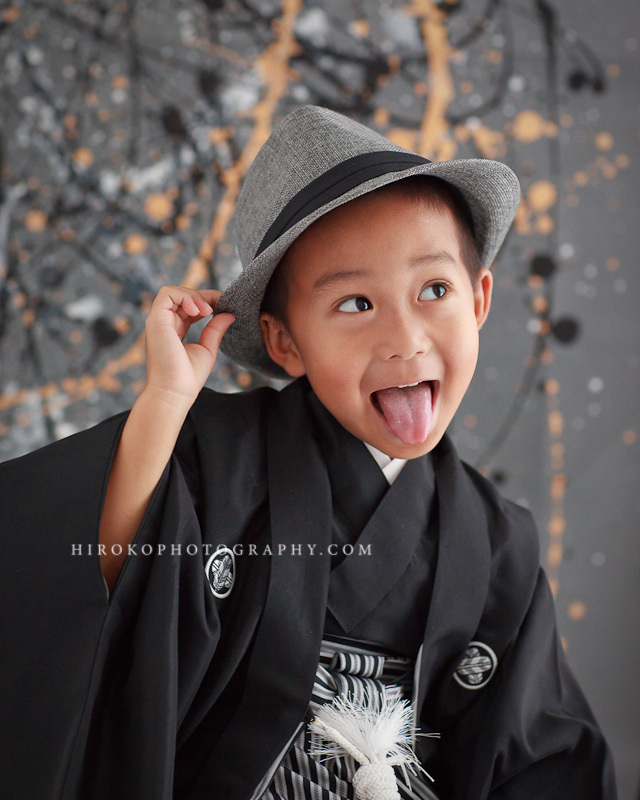 Let’s try some modern art/abstract painting as a backdrop for this kimono portraiture. 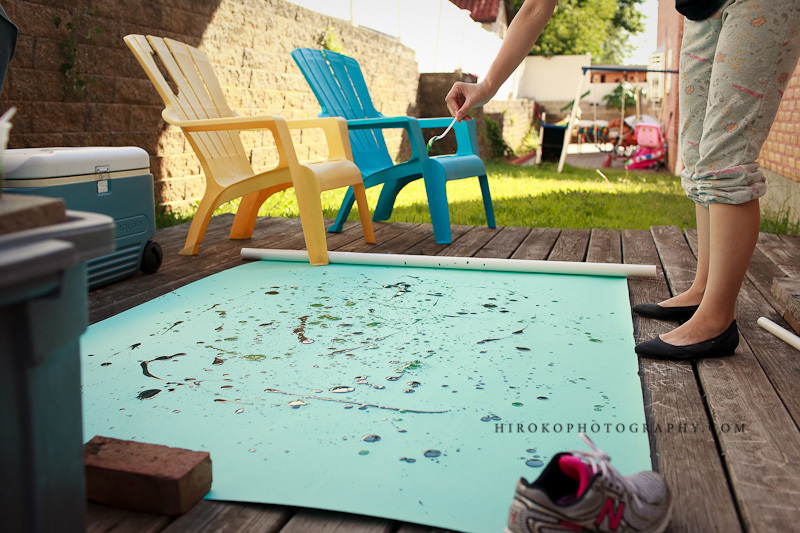 I decided to do action painting. You can see powerful pieces from various artists from MOMA right? I must try and yes, it was fun. 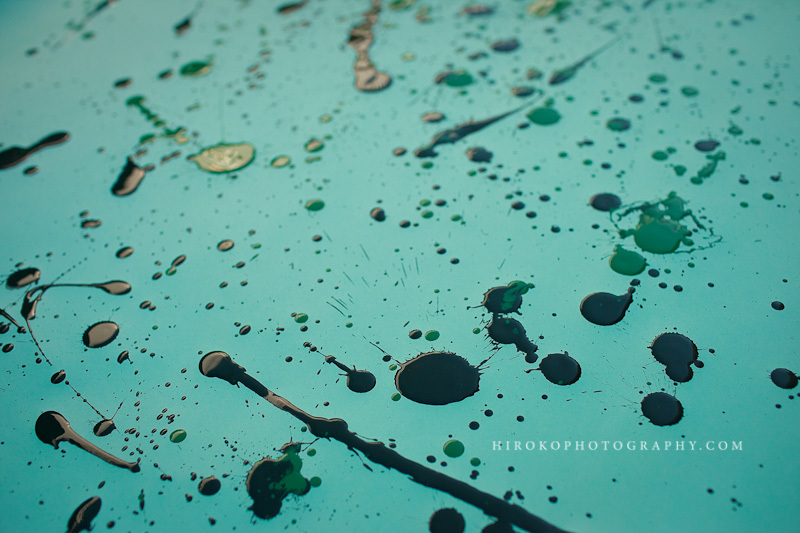 I mixed acrylic paints to create desired color. 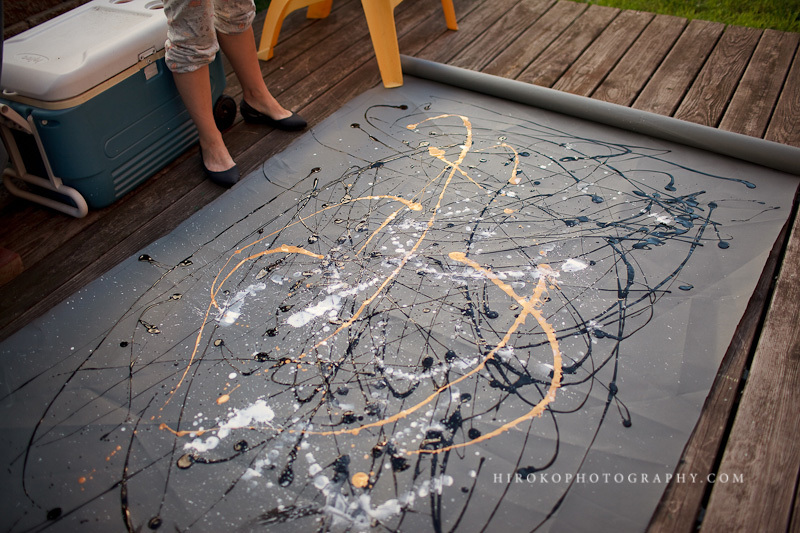 My assistant and I pretended to be great action painter, battling and exploding our expressions on the canvas! My husband loves this background. Fist bump myself! Ohhhh, I am a creation of art. I cannot believe he was this little only 4 years ago. I am so blessed to have you. You are growing to be a great, kind little man.